Ventura awnings equals smooth and easy set up and take down ideal for short vacations. 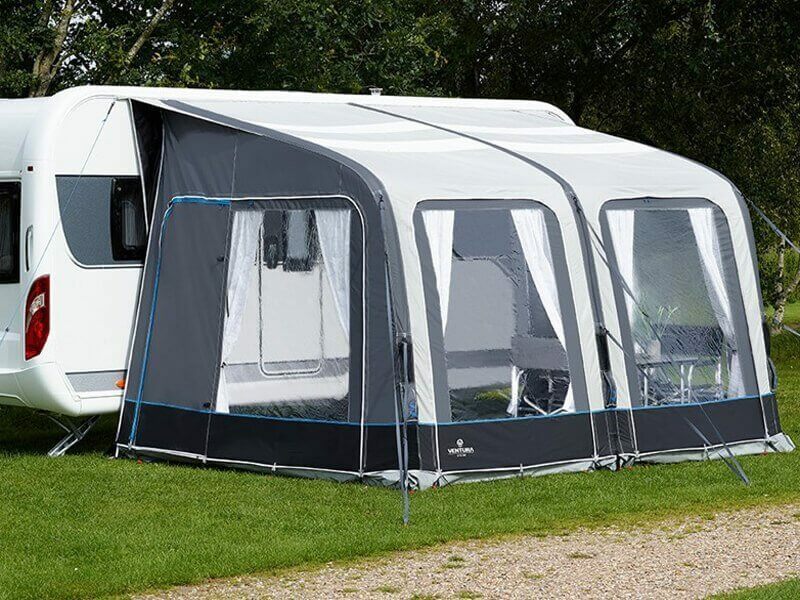 Ventura is a basic range of tents and awnings within the Isabella family. The range is inspired by the simple life, which means it is uncomplicated and focuses on basic needs. Made from sturdy materials that stand up to the rigours of use, with just a few carefully considered, tried-and-tested features. 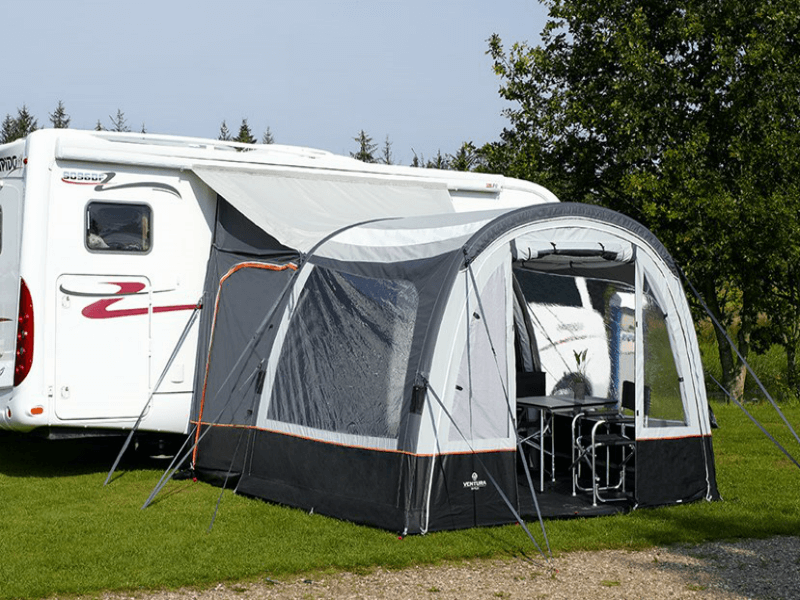 Ventura is a good place to start if you’re not looking for the ultimate awning, which the Isabella range otherwise represents. Simple design and good quality at a price that makes camping accessible to everyone. The range has been created to go perfectly with Isabella accessories. 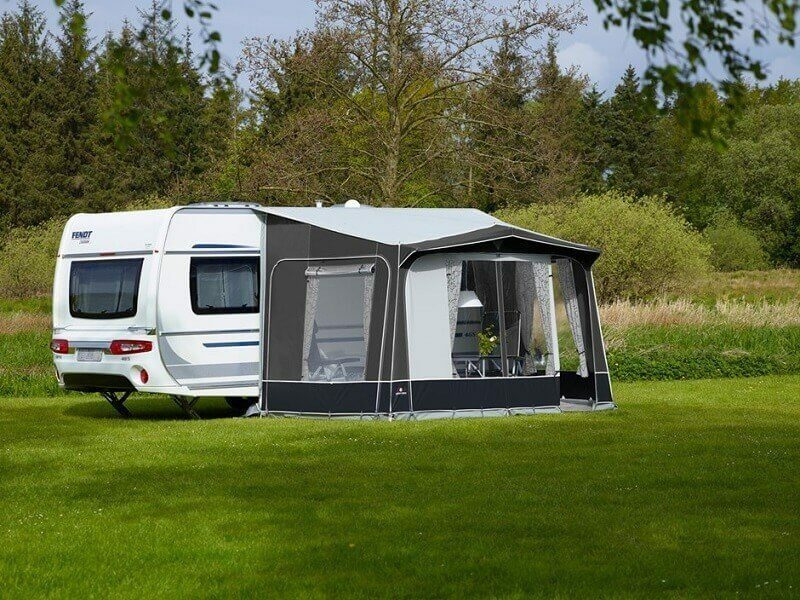 Included as standard are CampioFlex rubber straps, and rear upright poles to ensure that the awning stays flush to your caravan. Dimensions: 390 x 260 cm. The Cadet is a small porch awning with doors in both sides, a removable front panel and a mosquito net window, in one side. Becuase of the Cadets size and weight, it is perfect for the weekend. It seals perfeclty to the side of the caravan down to to the sewn-in foam pads, support poles and connection profiles that are supplied with as standard. The Marlin is a maintenance-friendly porch, ideal for touring. It is easy to put up and is supplied with the lightweight IXL fibreglass frame. The porch has a good seal to the side of the caravan with the sewn-in foam pads and the connection set supplied. Sporty and simple porch for both caravan, motorhomes and vans. 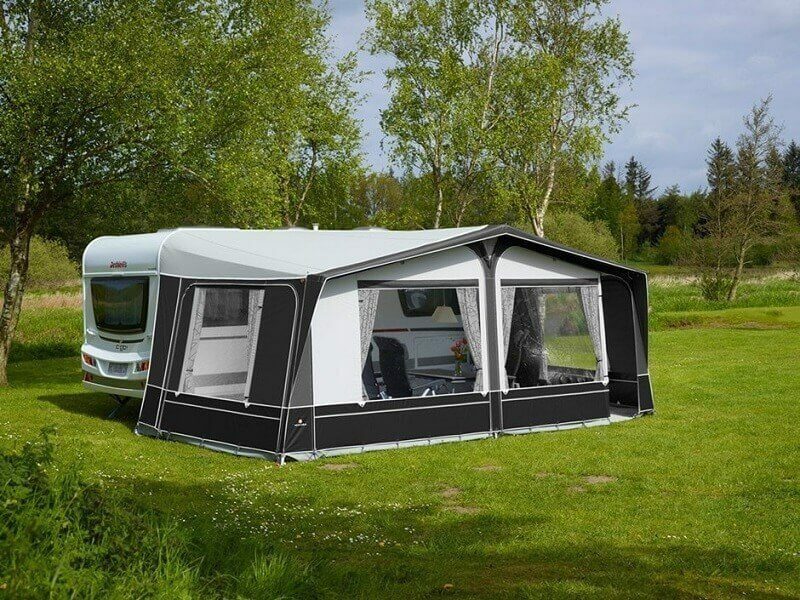 The Ventura Simplex is a great travel air porch for outdoor camping adventures due it its light weight. The adjustable height makes the Ventura Air Simplex model fit for almost any adventure. Attached floor, sewn in blinds and easy set up makes you ready for your holiday almost instantly when using the Simplex. Compact and smart porch for caravans, motorhomes and vans. Perfect for short holidays with its elegant and simple shape. The Vivo is extremely easy to set up and can very easily be transformed into an open canopy to create shade during your sunny adventures. The draught excluder with air tube secures a perfect fit against the caravan and the fitted two different diameter beading makes it fixable for both caravans, motorhomes and vans. Some products may need to be ordered from the manufacturer. Please allow time for delivery. The Cito 350 is elegant and curved, providing great light influx and an expansion option. The big windows and double light panels in the roof enable light to enter to make the interior bright and spacious. The unique Draught excluder air tube along the side of the caravan ensures a tight fit against the caravan. Double beading makes it possible for the Cito 350 to be attached on both Caravans and wind-out canopies on motorhomes. The new air Trinus 400 is both simple, spacious and fast inflating. Due to the light panels in the roof and spacious living area the Trinus 400 is the perfect travel air porch for the family. An optional Ventura Air Annex can be fitted to either side offering additional space. The draught excluder Air tube connects the porch to the caravan effortlessly. Support poles and advanced air system make the Ventura Air Trinus 400 very stable and reliable.